Pool decks are better when they are patios! F.A. 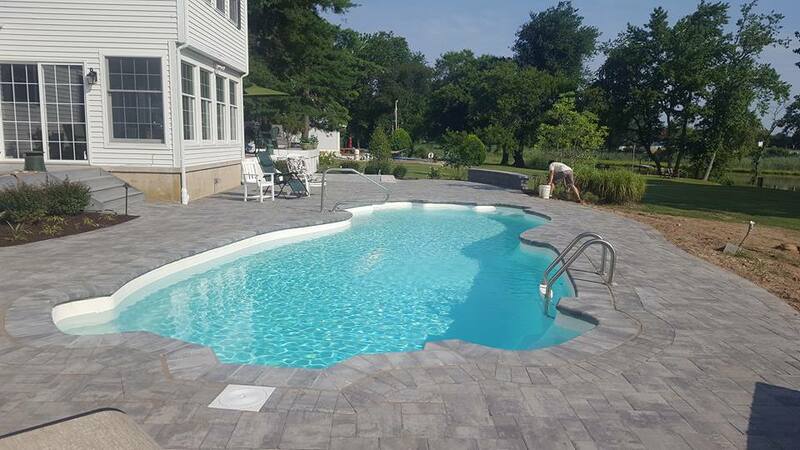 Hobson designs and builds custom patios for any situation on Delmarva. If you have a pool – Look no further than us. A custom built patio by F.A. Hobson will be unique to you and it will be built to last. There are many different styles and stones / pavers to choose from. Let our experts work with you to see what works best for you at your backyard retreat!